Future Enterprise 2013 had a good line-up of international experts and local thought leaders, thought-provoking panel discussions and good networking opportunities. As has become their trademark, Daniel McMurray and Jenny McLellan of Enterprise IQ ran the event like clockwork, with the usual soft ROIs too…. held in one of Sydney’s iconic hotels, good barista coffee before, between, during and after the sessions, quality meals and an entertaining MC and panel leader in Steve Hoskins. So here follows my take-aways from the event. 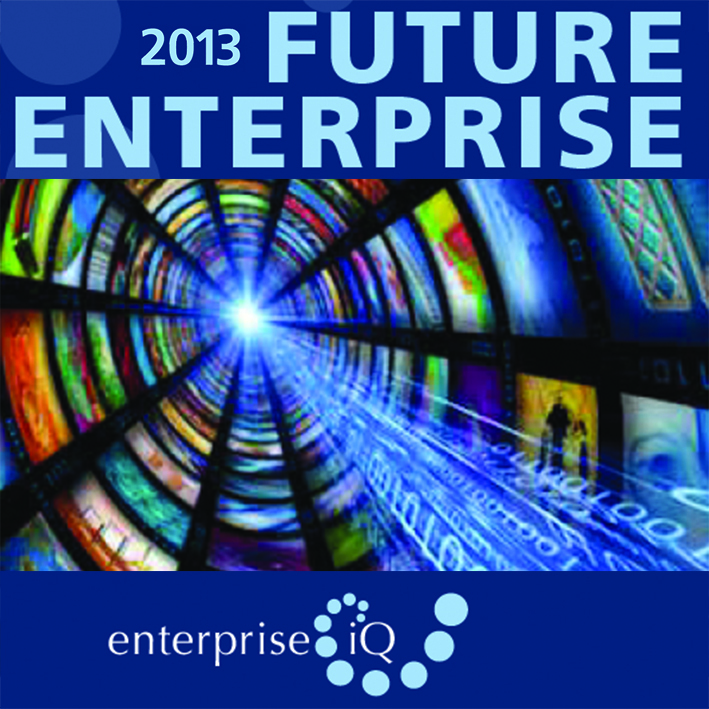 Of course with a theme like future enterprise, big data had to feature on the agenda of many speakers. However, what was refreshing for me is that it was a much more rational, practical, realistic treatment of the topic than what I’ve encountered in recent years. The Hadoop elephant didn’t storm through the room, and the V6s didn’t roar through there either. Quite a few of us illustrated that big data analytics can be done quite effectively, and deliver some useful value, without storing and processing petabytes of data on Hadoop clusters in the cloud. In fact, there are situations when other storage technologies like NoSQL graph databases are much more appropriate for storing and analysing big data. A very large portion of big data is unstructured text. Even audio eventually becomes transformed to unstructured text. Bill Inmon, in his trademark dry witty style, clearly illustrated the complexities of dealing with unstructured text, and the necessity for textual disambiguation before you can process, make sense of, and apply analytics to unstructured text in any way. Acronym resolution, homographic resolution, taxonomy ontologies, textual proximity, and various other inferences and translations all form part of textual disambiguation. Establishing and capturing context is also crucial for unstructured text analytics. I really like this more detailed and focussed treatment of unstructured text, as one of the sub-disciplines of big data. Big data is too big a hold-all bucket for a too large variety of data types (as I have advocated before in this post on big data). Video, spatial data, sensor data and graph structured data, to name a few, should all be treated like that as separate disciplines, with separate storage technologies, processing requirements, applications and analytics performed on each. There is a lot of radical and high tempo IT-driven business transformation going on – digital disruption as David Bartlett, ex politician now head of ASDEQ Labs put it. TomQuinn introduced “warp speed” as the only KPI for organisations adapting to the current fast-changing business landscape, illustrating the changes News Media are undergoing to stay relevant. In essence they need to componentise and reassemble their whole applications and analytics portfolio to stay abreast of the business changes. Jason Millet also presented the fast-paced changes that Billabong are going through and what is refreshing in their case is that IT – and BI in particular – is at the heart driving a lot of that change. Maria Milosavjlevic also illustrated the changes the Australian crime commission went through the past 4 years to ensure its analytics capability kept up with the increasing demands for improved and preventative crime analytics. Entire economies, industries, business models and traditional practices are being disrupted – generating tremendous opportunities. Fascinating stuff, I tell you. These two terms were mentioned more than any other, and rightly so, as today there are more connected devices than people, and this number is growing exponentially with the development of the “Internet of things”. Tim Blake of Tasmania Health made the claim that a vast majority of these “things” will be health monitoring sensors, and he may have a point there. Tracking heart beats, blood pressure levels, sugar and insulin levels, and so on seem a lot more important than monitoring remote boiling kettles and the amount of sunlight shining on your sofa. However, in the transport, travel and logistics fields, we are also seeing a vast increase in the number of sensors and the number of measurements recorded and analysed to optimise routing and proactively prevent delays and malfunctions. Of course the increases in mobility are introducing new challenges. Developing and running applications on mobile platforms are forcing organisations to think of ergonomics on multiple small devices and catering for different styles on interfaces and interactions. Regan Yan of Digital Alchemy made an interesting statement that channel communication has to get so targeted and customer focused that we have to segment or client bases down to units of one. One of my case studies covered the “trigger marketing” approach developed by Visa Europe – where they are focussing on detecting and forecasting trigger events to initiate customer communication rather than using segmentation-based campaigns anymore. Tony Jones, responsible for Digital Sales for Westpac New Zealand echoed this sentiment when he illustrated how the bank is renewing all its channel communication activities. Many other interesting communications took place – in the interactive panel sessions and of course through all the networking opportunities as well. Highlights I can recall include Hilda Clune of PWC’s description of the workplace of the future, panel discussions on the impact on management styles, the impact of the cloud, and so on. For example, Evan Leybourn discussed how more and more organisations are adopting agile management approaches, way beyond the realms of implementing IT projects – and that makes such good sense. We are so often questioning how organisations can become more agile to adapt to the fast-changing business landscape, and be ready to be involved in agile-driven projects. An organisation that is managed in an agile style is already ready. All in all, an excellent event, with stimulating discussion and contemporary and future looking content. 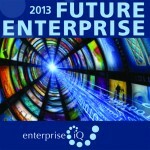 At the risk of sounding like a fan, watch the Enterprise IQ event calendar – these guys put on a good solid show.